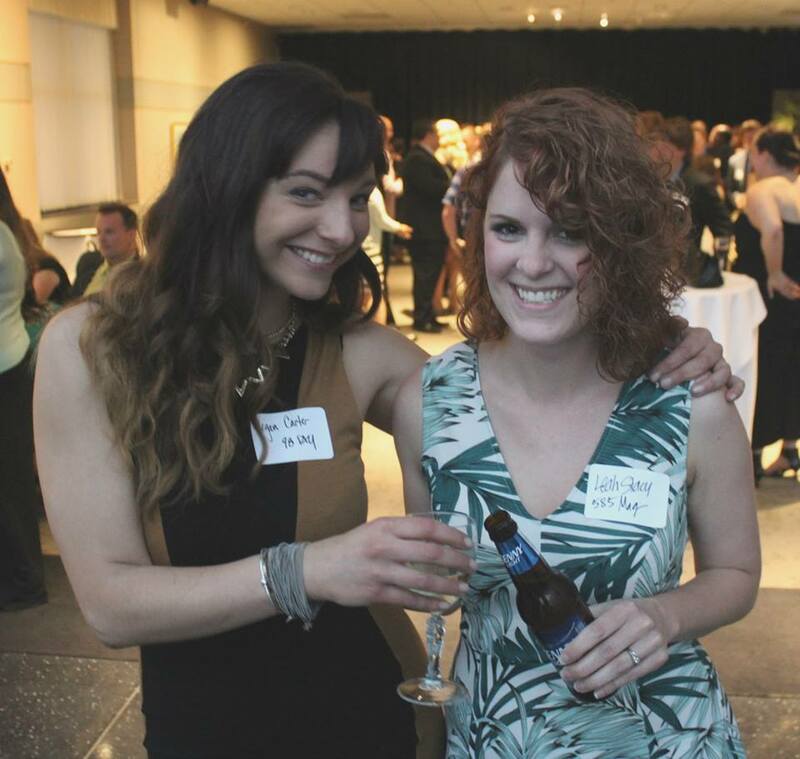 More than 120 area media professionals attended the fourth annual Rochester Media Association awards banquet May 9 at the Rochester Riverside Convention Center. 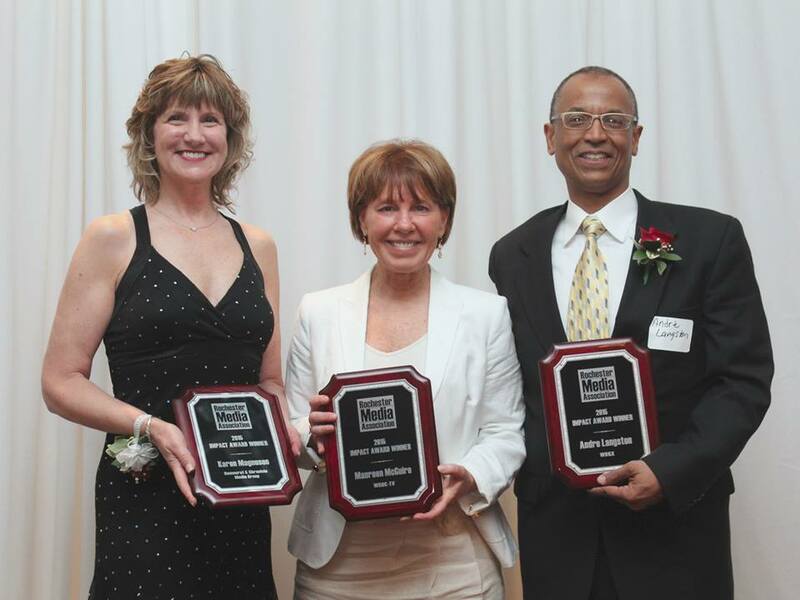 The Association’s signature honors, the Impact Awards, were presented to Karen Magnuson, Editor and Vice President/News at the Democrat and Chronicle Media Group; Maureen McGuire, WROC News8 anchor; and Andre Langston, owner of WDKX radio. The evening also included a report on the group’s 2014-15 professional development activities and a special memorial to Marietta Avery, WDKX radio general manager, who recently died. 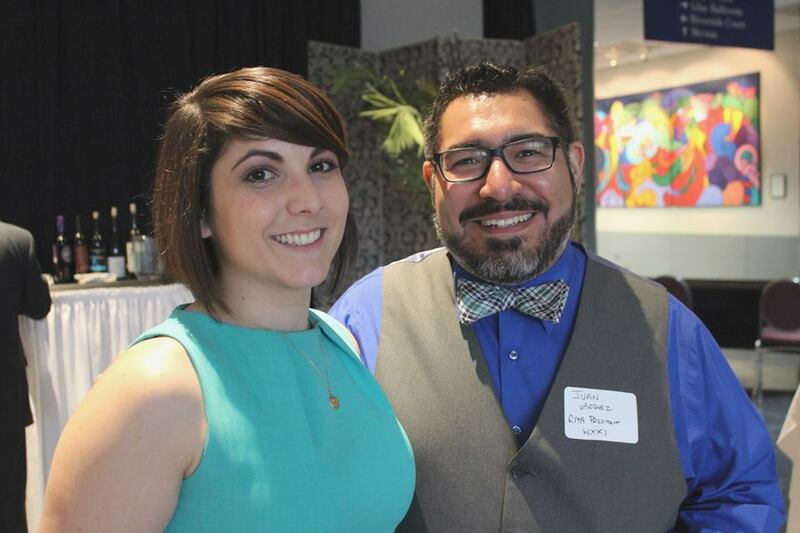 Here are a few photos from the event; for more visit the photo album on the RMA Facebook page. Megan Carter of WPXY and RMA board member Leah Stacy Wayner of 585 Magazine drink a toast to the honorees!